Relax, close your eyes . . . and dream. Nine tales, nine sensual dreams of enchantment, wanderlust and lovers’ longings, of searching and finding; these dreams tell of birds of fire, curses that lie like bridges between night and day, and hunger for sweet seduction. swallowed the truth of her fire. for his cooler water nature. the blouse she was wearing, revealing more skin that tasted like the sun. 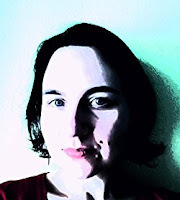 Alexa Piper enjoys writing, romance, and the paranormal. This said, becoming a paranormal romance writer seemed perfectly reasonable, but for Alexa, it is more than that; it’s fun. Alexa’s work has appeared in the anthologies Demons, Imps, and Incubi and The Naughty List. 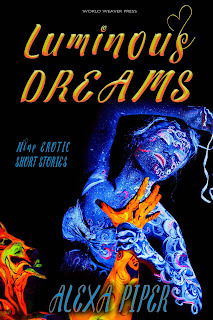 Luminous Dreams is Alexa’s first collection, and she hopes her readers will have as much fun reading it as she had writing it. Check out Alexa’s online home (alexapiper.com) for all things related to her writing and be sure to follow her on Twitter @prowlingpiper.